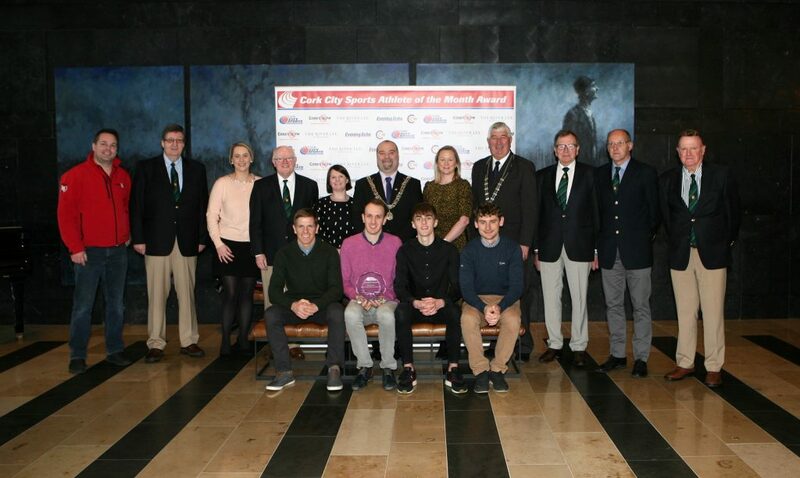 Togher AC novice men’s cross country team are Cork City Sports Athletes of the Month for December 2018. The Togher team won a fiercely contested Athletics Ireland National Novice Cross-Country Inter-Club Title, in Navan, Co Meath, on Saturday 16th December 2018. The team members were Evan Byrne, Ruairi Casey, Gavin Sweeney, Ian Tivy and Craig Harrington. The award was presented to the Togher team at a function in The River Lee (sponsor). Also in attendance were Cork City Sports sponsors, The Evening Echo & Cork’s 96FM. 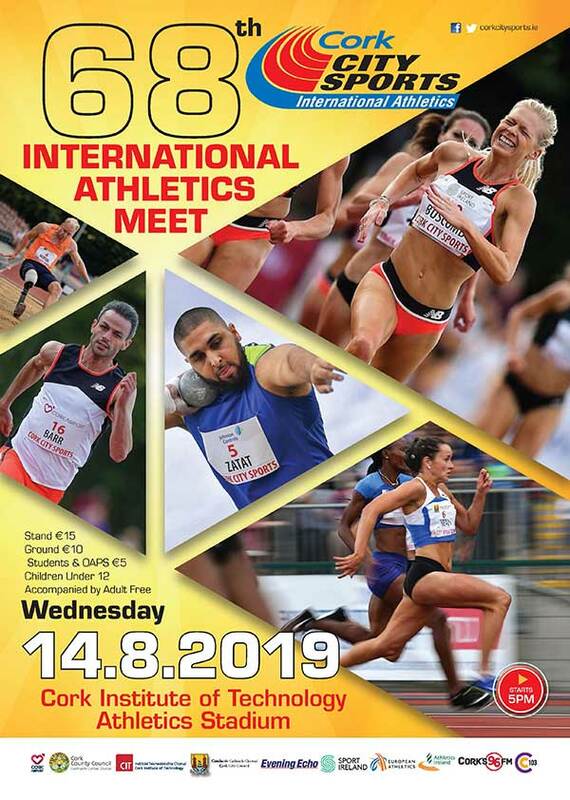 The December award wraps up a great year of athletic performances by Cork Athletes, we now look forward to the Athlete Of The year award which will be held shortly. Seated are team members Gavin Sweeney, Ruairi Casey, Ian Tivy and Craig Harrington, L to R., (Standing)Ken Perrott, 96FM Michael O’Connell CCS, Terry O’Rourke , Secretary CCS, Nicola Cullinane, Marketing Executive Evening Echo, Tony O’Connell, Chairman CCS, Isabel Keane, Event & promotions Cork 96FM C103, Deputy Lord Mayor Cllr. Thomas Moloney, Claire Myler, Sales Manager, The River Lee Hotel, Deputy County Mayor Cllr Derry Canty, Frank Walley, President CCS and Liam O’Brien Technical Director CCS. Picture. M.Collins.